Sebamed Anti Stretch Mark Cream is helps improve the appearance of scars, stretch marks and uneven skin tone and makes your skin clear and smooth. 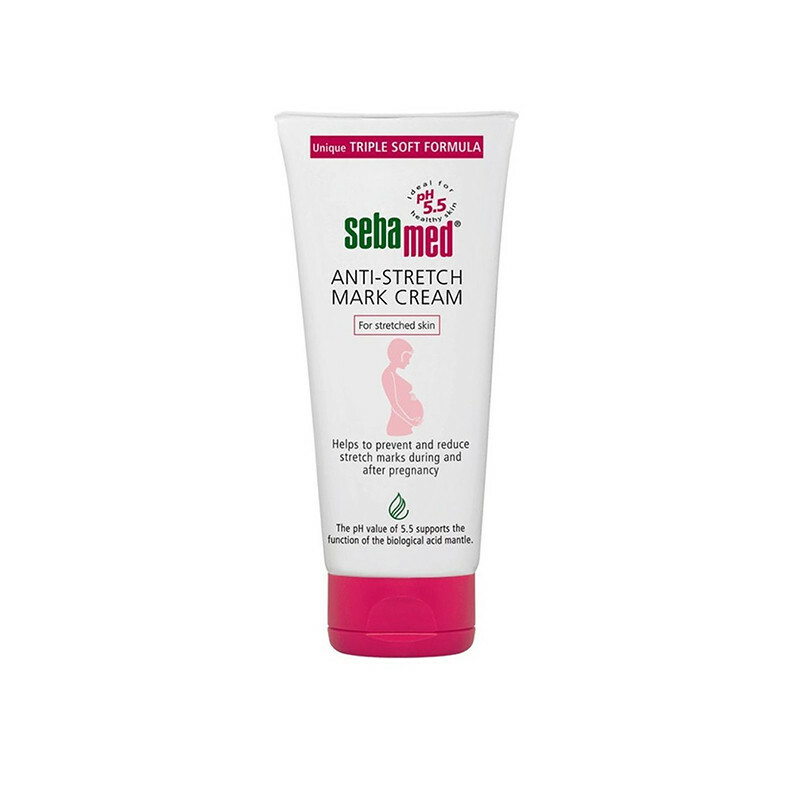 Sebamed Anti-Stretch Mark Cream helps to both reduce and prevent the appearance of stretch marks. By allowing your skin’s connective tissue to adapt along with your changing body, ingredients like natural avocado oil and shea butter care for and protect your skin. May be used during breastfeeding, compatible with sonograms, does not stain clothing. Dermatologically tested, paraben-free, and free of animal ingredients.This is essential in maintaining your skin's natural hydro lipid barrier against environmental stress and Sebamed skin care the extremely mild, soap-free product line with the same ph as healthy skin - ph 5.5.Making it light and non-greasy, ensuring that the goodness contained and plant extracts is easily absorbed, gives you best result. this is the best stretch mark cream, I used it during my second pregnancy this not only reduced previous marks but also it helped less formation of new marks.